Iggy Azalea denies the claim been documented by Hene Wine that says the Australian rapper had a common law marriage with her ex-boyfriend. Claiming that Iggy is his wife, Hene whose real name is Maurice Williams has also filed a divorce in Texas. Hefe alleged in the documents that Iggy was mutually agreed to be married with him and they began to reside together as husband and wife in September 2008 in Texas. While the Texan law verifies that if a couple lives together as husband and wife for a certain period then they are officially considered to be in a common law marriage. Iggy’s ex-boyfriend also claims that they stopped living together in 2013. He has requested the judge to stop Iggy from selling any asset she acquired during their marriage time. 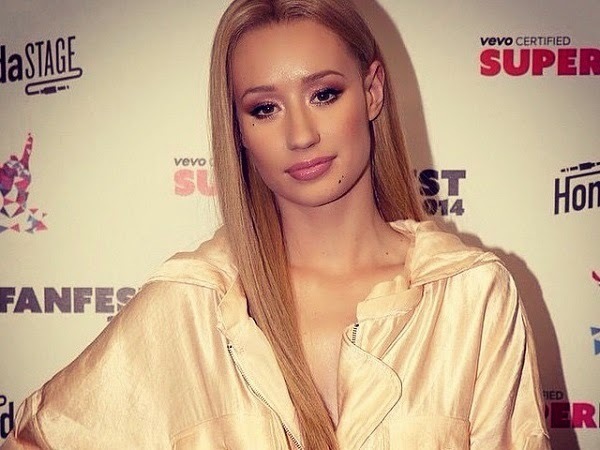 According to the law of the state, if it is proven that the couple was in common law marriage then all of the songs and wealth, Iggy obtained during their married life will be split down to the middle of the couple. On the other hand, Iggy has denied the claim and says that she was never wedded to anyone. Clearing up her relationship status, she tweeted on October 10, 2014 ‘everyone knows about my marital status however just to make it clear I must say that I have never been married. ‘Now do you see the kind of idiocy I have to see to?’, Iggy said. 24yrs old rapper also wrote that anyone can check the public marriage records to verify what she has said publicly. According to Iggy’s legal representative, she has insisted that she never considered herself marrying Hefe and filing the divorce from ex-boyfriend is simply nothing than a way to get money from her. It’s also interesting to learn that Hefe claims to have all rights of music the singer recorded during their relationship. The showbiz is full of controversial stories, strange rumors, and interesting gossips and Iggy’s controversial marriage life is a new happening so let’s wait to find out the reality behind the scene.